A series of sirens were sounded overnight Friday in southern Israel. The sirens began at around 1:30 a.m. Israel time and were heard in the Sdot Hanegev, Eshkol, Shaar Hanegev and Hof Ashkelon Regional Councils, as well as in the city of Sderot. Unconfirmed reports said the Iron Dome anti-missile system intercepted several rockets that were fired from Gaza towards Israeli territory. The IDF confirmed that sirens were sounded in southern Israel but did not provide further details. 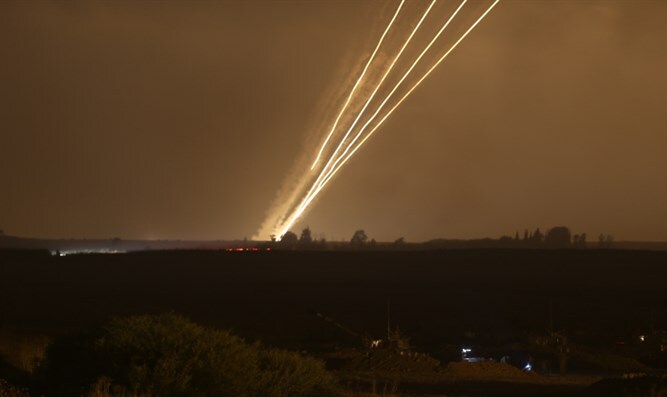 Meanwhile, Palestinian Arab media reported on Friday night that the IDF attacked targets east of al-Bureij in Gaza, as well as in the north and south of the Gaza Strip.